North-Eastern Division. In: British New Guinea. British New Guinea: Annual Report for theYear Ending 30th June, 1904. Orra Eugene Monnette: (April 12, 1873-Feb. 23, 1936), banker and lawyer, was born near Bucyrus, Crawford County. 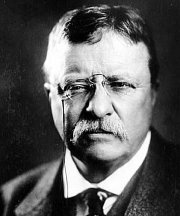 After attending Ohio Wesleyan Univesity, he read law and practiced in Bucyrus, Toledo, and Los Angeles. 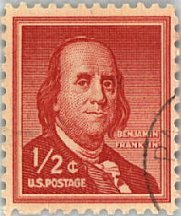 He also founded a bank in the Bank of America in Los Angeles which later merged with the Bank of Italy to form what is today the modern Bank of America. Monnette was also chair of the Los Angeles Public Library and guided that institution during the 1920s and into the 1930s until his death in 1936. Monnette's statue is housed in the rotunda of the Los Angles Public Library's main downtown location. Monnette was the son of Mervin Jeremiah and Olive Adelaide (Hull) Monnette. Married November 6, 1895, to Carrie Lucile Janeway. Attended Bucyrus, Ohio, Union Schools, graduating in 1890; Ohio Wesleyan University of Delaware, Ohio, graduating in 1895, classical course, with the degree of A.B. ; also special law course in the same institution in 1895; post-graduate work without degrees. 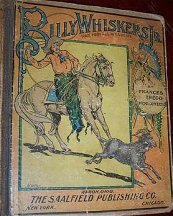 Billy Whiskers at the Circus The adventures of Billy Whiskers Junior, progeny of the famous Billy Goat! 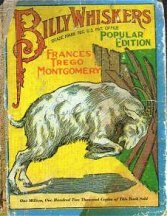 Billy Whiskers was a rambunctious and irresistible goat and his adventures. Robert Kennedy had called this book as his favorite when he was a child. Anne's own true love, Gilbert Blythe, is finally a doctor, and in the sunshine of the old orchard, among their dearest friends,they are about to speak their vows. Soon the happy couple will be bound for a new life togther and their own dream house on the misty purple shores of Four Winds Harbour. A new life means new problems to solve new surprises. Anne and Gilbert will make new friends and neighbors; Captain Jim, the lighthouse attendant,with his sad stories of the sea;Miss Cornelia Bryant, the lady who speaks from the heart and speaks her mind; and the tragically beautiful Leslie Moore, into whose dark life Anne shines a brilliant light. Rilla of Ingleside Toronto: McClelland and Stewart Ltd 1921 ~ Illustrated by Maria Kirk: a color frontis.that is repeated on cover. 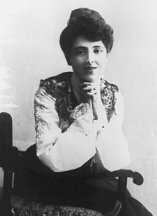 Lucy Maud Montgomery was a Canadian writer, who became famous for her juvenile books, especially ANNE OF GREEN GABLES (1908) with its six sequels. The main character is a spirited, orphan girl, who finds a home with an elderly brother and sister. Montgomery produced more than 20 novels and other books. Anne of Green Gables was rejected by several publishers. She was 34 when it was finally accepted. Lucy Maud Montgomery was born in Clifton (now New London), Prince Edward Island. When she was two, her mother died of tuberculosis. Her father, who was a merchant,remarried, and moved away. Montgomery was raised by her maternal grandparents in Cavendish. The place was isolated and her childhood was not particularly happy: she grew up in an atmosphere of strict discipline and punishment for the slightest reason. She joined herfather briefly in Prince Albert, but then returned to Prince Edward Island.At an early age Montgomery read widely. She started to write in school and had her first poem published in a local paper at the age of fifteen. In 1895 Montgomery qualified for a teacher's licence at Prince Wales College, Charlottetown. During the 1890s she worked as a teacher in Bideford and at Lower Bedeque, both on Prince Edward Island. 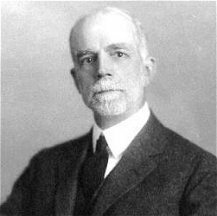 In 1895-96 Montgomery studied literature at Dalhousie University, Halifax. She returned to Cavendish to take care of her grandmother, and worked at a local post office. 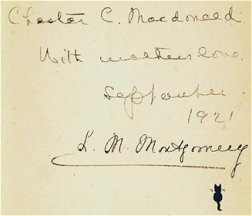 In 1911 after her grandmother died, Montgomery married Ewan MacDonald, the Presbyterian minister, and moved with him to rural Ontario. While caring for her grandmother, she wrote the first book of the Anne series. It drew on her girlhood experiences. The idea was based on a notebook entry from 1904: "Elderly couple apply to orphan asylum for a boy. By mistake a girl is sent them." Anne of Green Gables was the story of a talkative, red-haired orphan, Anne Shirley. She has big green-grey eyes and a narrow, freckled face. Matthew Cuthbert and his sister, Marilla, have adopted her from an orphanage in Nova Scotia. 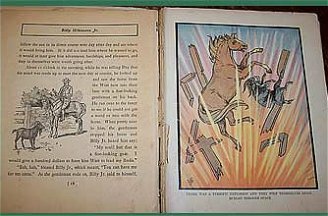 The book became hugely popular, although The New York Times critic (July 18, 1908) wrote: "...there is no real difference between the girl at the end of the story and the one at the beginning of it. All the other characters in the book are human enough." The sequels followed Anne's life from childhood to adulthood - she marries Gilbert Blythe, a doctor, loses her first child but her life is then fulfilled with the birth of Little Jem. The initial volume has been filmed several times, adapted for stage and translated into some 40 languages.Montgomery's success was shadowed by a nine-year dispute with her publisher and her husband's bouts of melancholy. "Looking back over his attacks I find that they have always come on suddenly when he was disappointed or homesick", Montgomery wrote in her diary on April 12, 1921. "Evidently his disappointment and loneliness were repressed into his subconscious mind and began playing tricks with his nerves, as psycho-analysis has recently discovered such things do." In 1925 the family moved to Norval, near Toronto, and then in 1935, after her husband's retirement, to Toronto. ANNE OF INGLESIDE (1939), the last volume in the Anne series, reflected Montgomery's disappointments in life. During the late 1930s Montgomery suffered a breakdown, and remained despondent until her death on April 24, in 1942. At her death she left 10 volumes of personal diaries (1889-1942), whose publication began in 1985. 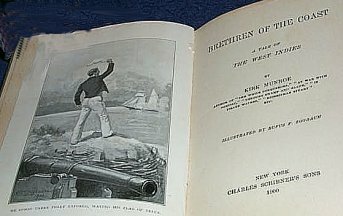 Montgomery wrote several collections of stories and two books for adults. Her other series characters include Emily, who appeared in three novels, and Pat, who was in two novels.Montgomery's heroines are frequently motherless, but adventurous, imaginative anddetermined. Anne Shirley from Anne of Green Gables has a fiery temperament, to do with her red hair. When she marries Gilbert, she abandons her career as a teacher and is often in an irritable mood. "It's all very well to read about sorrows and imagine yourself living through them heroically, but it's not so nice when you really come to have them, is it?" Montgomery wrote in Anne of Green Gables. 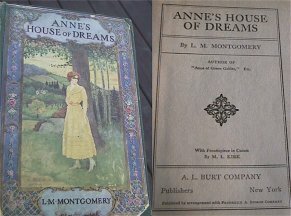 After becoming tired of Anne, Montgomery created Emily Byrd Starr, who has dark hair and loves nature and loves to write. Anne's imagination leads her into conflict with her surroundings, but Emily uses her imagination to compose poems and stories. In the third part, EMILY'S QUEST (1927), she publishes her first book, is confused by reviews, which are conflicting, and marries Teddy Kent, an artist. The story takes place around Christmas. It involves a detailed tour of old New York, replete with historical references. The second layer of the book involves references to literary characters from virtually every passingly famous children's book written in the last 300 years. Reading it is a bit like thumbing through a People Magazine century in review. It is a vast and superficial survey of a world few people can understand. Anne Carroll Moore dedicated her life to children and children's services. She established "the basic underlying principles of library service to children" (Spain). For her, the children were always the first priority. "The librarian should look upon herself as a hostess with children as her distinguished guests," she said in an interview (Ferris). She found children much more interesting company than adults. In her own words, "I never tire of watching in library or bookshop a boy or girl discovering for himself or herself the book which is his or hers for the moment ... Socially they seem to me much more interesting than most grown people" (Ferris). Moore visited libraries in Sweden, Norway, Denmark, England, France, Belgium, and Holland during her lifetime, communicating about and improving on Children's Services. She was not immediately drawn to librarianship; she didn't seem to know it existed as an option. "It was a puzzle to know what to do in the '90s if one did not want to teach or become a missionary" (Moore). Powerful words are often used to describe her: "keen criticism," "unfailing sensitivity," "courageous," and "fearless." As in, "She fiercely defended the right of every child to mental and spiritual freedom, delighting in the vitality of their imagination" (Williams), or, "a person of endless vitality" (Holbrook). 1896: Graduated from the Library School of the Pratt Institute. 1896-1906: Children's Librarian of the Pratt Institute Free Library. 1906-1941: Superintendent of Work with Children in the New York Public Library. 1899 Wrote to Executive Board of the ALA and asked that a special section be created for Children's Librarians. 1900 Elected first chairperson of the newly formed Children's Library Section of ALA.
1918-1934 weekly critiques of children's literature in The Book Man. 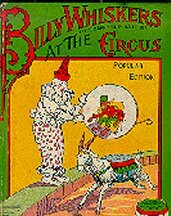 1925 Newbery Honor Book winner for Nicholas: A Manhattan Christmas Story. 1932 Honorary degree from Pratt Institute in Brooklyn for distinguished achievement. 1936-1957 The Three Owl Notebook, a column in The Horn Book featuring contemporary criticism of children's books. 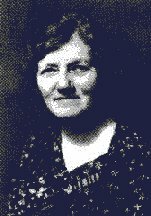 1940 Constance Lindsay Skinnew Award for "outstanding work as a pioneer in the field of better books for children." 1960 Regina Medal from the Catholic Library Association "for the entire life time work of the individual." Book: Seven Stories High--the Child's Own Library. F.E. 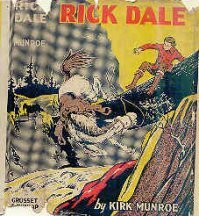 Compton & Co., 1932 (Reprinted 1940). The Blossom Shop: A Story of the South. 1913 L.C. Page: 223 pages. 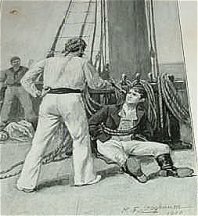 Illustrated by John Goss. The third in a series, this book continues the story of the delightful Southern family that was introduced in "Blossom Shop, " and "Anne of the Blossom Shop." Publisher's ad in the back of the book says, "Anne, May and Gene, three girls of varying types from lovely Mrs. Carter's garden of girls, touch life in new and vital ways which develop sterling character and set promising and full-blown romance to stirring." 329 pages ~ frontispiece is a color portrait of Anne Carter by Gene Pressler, which is reproduced on the front in a pasted on label. (b. Franklin County, Miss., Jan. 5, 1860; d. Louisville, Ky., Nov. 23, 1928). Minister, seminary president, and professor. Son of Seth Granberry and Cornelia Blair (Tillman) Mullins, he moved with the family to Corsicana, Tex., when he was eight years of age. His minister-teacher father, a Master of Arts graduate of Mississippi College, encouraged each of the nine children to obtain an education. When Mullins was born, following the birth of three daughters, his father and mother dedicated him to God with the prayer that he might become a minister. Helping to pay expenses for his sister's college education, he worked while attending grade and high school and became an expert telegrapher with a man's pay at 15. After obtaining his basic college education at Agricultural and Mechanical College of Texas from 1876 to 1879, Mullins worked as telegraph operator while accumulating funds for his anticipated preparation for the practice of law. Under the preaching of William Evander Penn, a notable Baptist evangelist, Mullins was converted in a revival meeting in Dallas, Tex., and was baptized by his father at Corsicana, Nov. 7, 1880. After feeling called to the ministry a few months later, he entered Southern Baptist Theological Seminary in the fall of 1881, and he was elected by the student body as manager of the mess hall at the close of his first year, a position he continued to fill until his graduation in 1885. At his physician's advice, Mullins gave up his commitment to foreign mission service in Brazil and accepted a call to the pastorate of Harrodsburg (Ky.) Baptist Church. Soon after, on June 2, 1886, he married Isla May Hawley of Louisville, by whom he had two sons, both of whom died at an early age. From the Harrodsburg church Mullins was called to the pastorate of Lee Street Baptist Church, Baltimore, Md., in 1888, where he served for seven years. He then accepted the position of associate secretary of the Foreign Mission Board, Richmond, Va., but felt unsuited for the task although deeply devoted to foreign missions, and almost immediately became pastor of the Baptist church at Newton Center, Mass., where he served from 1895 to 1899. This pastorate especially appealed to Mullins, since it was the home of Newton Theological Institution and near Harvard, Wellesley, and Brown. For three years the challenge of this situation prepared Mullins for his call in 1899 to become president of Southern Baptist Theological Seminary. The election of Mullins to the presidency of the seminary came unexpectedly and without his knowledge or consent. He succeeded William Heth Whitsitt, president from 1895 to 1899. Whitsitt had resigned under pressure in the midst of a bitter controversy over "a question in Baptist history." Mullins, as the new president, became professor of theology as well as executive head of the institution. His brilliance as teacher and writer, his administrative ability, and his firm but conciliatory attitude soon won the confidence of all and gave him a place of leadership in the denomination. He served as president of the Southern Baptist Convention from 1921 to 1924, and as president of the Baptist World Alliance in 1928. Under Mullins' guidance, the seminary faculty increased from six to 12 professors, and enrolment from 256 to 501. He increased seminary endowment from $464,428.64 in 1899 to $1,803,768.09 in 1928, and largely through his own efforts made possible the endowment of the James Buchanan Harrison Chair of New Testament Interpretation and the Chair of Sunday School Pedagogy. He organized and promoted a building campaign for the removal of the seminary from its overcrowded downtown site to its present spacious campus of 58 acres known as The Beeches, with its Georgian buildings valued on completion in 1926 at $2,061,118.24. In addition to numerous articles for the press, Mullins' published works include Why Is Christianity True? (1905); The Axioms of Religion (1908); Baptist Beliefs (1912); Freedom and Authority in Religion (1913); Commentary on Ephesians and Colossians (1913); The Life in Christ; The Christian Religion in its Doctrinal Expression; Talks on Soul Winning (1920); Spiritualism, A Delusion (1920); Christianity at the Crossroads (1924). 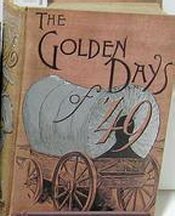 The Golden Days of '49: A Tale of the California Diggings ~1889 ~ NY: Dodd, Mead, and Co.
Rick Dale G&D. 282 pages color dust jacket illustration and illustrated endpapers. Kirk Munroe: 1850 September 15 - Kirk Munroe was born in a log cabin near Prairie du Chien, Wisconsin. 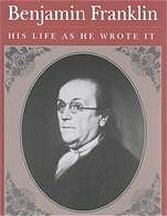 His youngest yearswere spent on the frontier and then his family moved to Cambridge, Massachusetts where he attended school until he was sixteen. Unsure of what he wanted to do in life, but loving the outdoors, he secured a job as a surveyor's helper on an expedition that crossed the great southwest from Kansas to California to find a route for the first transcontinental railroad. During this time he claimed he helped fight Indians and in one scrimmage he was wounded while eight of his comrades were killed. 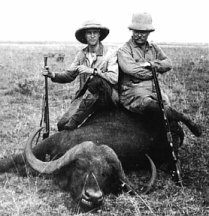 He met such famous characters of the old west as Custer, Wild Bill Hickok, and Kit Carson. 1879 - Becomes the first editor of Harper's Young People magazine. 1879 - Commodore of New York Canoe Club for five years. 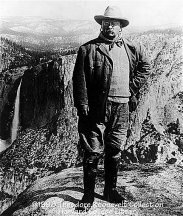 He was one of the founders of the American Canoe Association in 1880. It still exists and in 2002 had 50,000 members. 1880 May 30 - A national organization of bicycle enthusiasts was founded by Kirk Munroe and a friend. Originally called the League of American Wheelmen, in 1994 it changed its name to the League of American Bicyclists. Munroe held the No. 1 ticket. 1881 - Resigns from Harper's. In future years he returns to the magazine during the summers as a substitute editor. 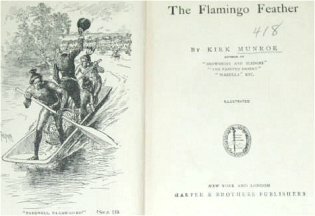 1881-82 - Takes a winter trip to Florida with his sailing canoe Psyche. Circles most of the state in a 1600 mile cruise. 1883 September 15 - Marries Mary Barr. They take a three month cruise from St. Augustine to Lake Worth. 1885 - They buy a property on Lake Worth. 1885-86 - Munroe and Mary cruise the great Florida reef, ending up in Biscayne Bay. 1886 - They buy a property on Biscayne Bay in Coconut Grove which they name "Scrububs". Later they build the first tennis court in Dade County and organize the first baseball team. 1886 - Wakulla, his first book is published. 1887 February 15 - Munroe becomes the co-founder of Biscayne Bay Yacht Club at a meeting at Scrububs along with Ralph Munroe. Kirk remains its secretary for thirty-five years. The Biscayne Bay Yacht Club still exists and is the oldest organization in Miami-Dade County. 1890-91 - Cruises from Coconut Grove to the Ten Thousand Islands in Allapata, his thirty-five foot sharpie-ketch sailboat. 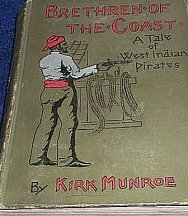 1893 - Paul Ransom comes to Coconut Grove with a letter of introduction to Kirk Munroe. A week later Munroe sells Ransom the seven and one-half acre property next to Scrububs. This becomes in 1896 the Pine Knot Camp and eventually Ransom-Everglades School. 1893 - Invited to the World's Fair in Chicago where he is voted most popular author by ten thousand children. 1893 - Trip to Alaska four years before the gold rush. 1895 June 15 - The Coconut Grove Library was founded by the members of the "Pine Needle Club". Mary Munroe was the president of this club. In 1901 Kirk Munroe erected a library building on land donated by Ralph Munroe. For many years Kirk Munroe was the President of the Coconut Grove Library Association. 1896 - Munroe is authorized by Ransom to begin building the school. Munroe signs a contract in January with a contractor to begin construction. Munroe and his wife take a trip to Key West. He visits the warship Maine. 1899 - Cruises the Canadian coast from Newfoundland to Hudson's Bay. 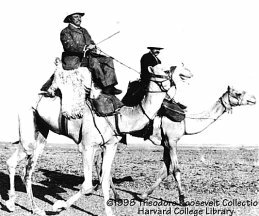 1903 - Takes a world tour which includes North Africa, Tibet, Burma, Java, Borneo, China, Korea and Japan. Sees the Russian battleships gathered in Port Arthur just prior to the great battle with the Japanese. 1904? - Travels to Central America, Mexico. 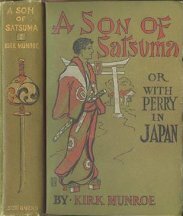 1905 - Last book published, For the Mikado. 1909 - Kirk celebrates his 59th birthday with Cree indians on a thousand mile trip through Canada. 1914 - In discussions with his neighbor, Munroe helps come up with the name of Deering's estate, "Viscaya" and its emblem, the sea horse. 1919 - Coconut Grove is incorporated as a town. One source says that Kirk Munroe ensures that the incorrect spelling "cocoanut" is not approved, but another source says this was done by his wife. 1919 - Sells "Scrububs". Buys a property elsewhere in Coconut Grove on a street called Leafy Way which he names "Kirkland House". 1922 - September. Mary dies. 1924 - Kirk marries Mrs. Mabel Stearns. 1926 - Stearns places him in the Florida Sanatarium in Orlando. 1930 - June 16th. Kirk Munroe dies at age 79. He is buried next to his beloved wife, Mary, at the Woodlawn Park Cemetery on S.W. 8th Street in Miami.